So ok, if your like me a true Impulse Gamer, then your always changing the look of either your desk top back ground wallpaper or various other things related to maybe your PSP or your Xbox 360. 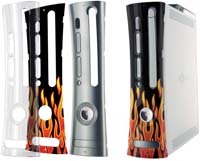 For those who don’t know about it Nyko actually has a pretty cool cost effective solution for changing the look of your Xbox 360 face plate. Gaming is often a very personal thing so why not show your love for your favorite past time? The 360 Game Face kit comes with everything you need. Paper templates, A clear front plate and a base plate, and of course the Design software for Windows or Mac so you can get to designing you own master piece. The idea is simple and easy to use; the paper templates are the exact shape of the face plate and are precut with all the plug in slots. You just have to punch those out, once you make your design and print it out, the paper template fits between the clear face plate and back plate. This in turn snaps onto the front of your Xbox 360. The software design kit is a simple affair with no extra bells or whistles, but it is what it is and does what it is intended to do, which is image placement on the template only. Adding things like text, one would need to create these in another program like paint shop pro or photo shop and then open the image using the design software and place it appropriately. Punch out the pre-printed, or your custom designed template. Align the paper template to the inside of the clear front plate and hold in place using the nubs on the top and bottom of the unit. Align the front plate with the silver base plate. Make sure all of the nubs are lined up and snap together. Remove any existing faceplate on the Xbox 360. Attach the assembled GameFace 360 to the Xbox 360 as usual. Make sure you are careful in removing your Xbox 360 face plate. 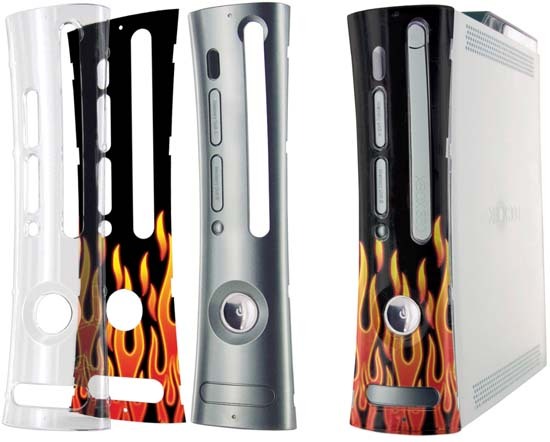 Remove the Game Face 360 from the Xbox 360 by using standard faceplate removal techniques. Separate the front plate and base plate by carefully applying pressure on the lips of the snap points on either side of the face plate while pushing the base plate on the opposite side. Remove the template, and replace with a new template as instructed previously. 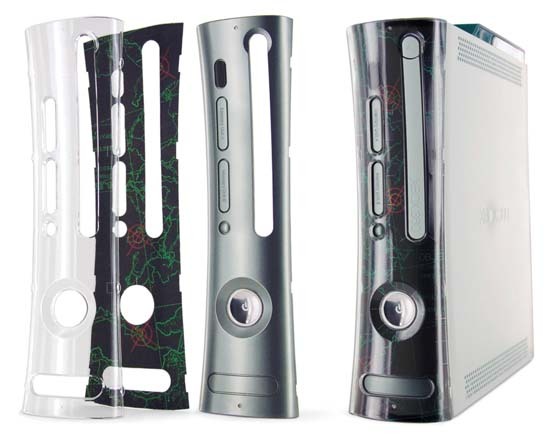 Once it’s said and done you got yourself one customized looking Xbox 360. the only thing I would like to see is a paper from Nyko that offers the same print brightness of some photo paper. Let your fingers do the typing and get your browser on over to http://www.nyko.com/ to check it out. Go see the offerings from Nyko, and see our other reviews on Nyko products here at Impulse Gamer! Bottom line, Nyko's GameFace 360 is a well made product. It’s a smart purchase for any gamer that wants to show their own individual ness. The kit comes with six pre designed face plate templates, 15 blank ones, and the snap together clear face plate and of course the software to create your own designs.